Keep the High Country Green! Who doesn’t love the Earth? Earth Day our yearly holiday to celebrate our home and show our appreciation, and what better way than “going green”!? Earth Day is coming up on Sunday, April 22nd! Here are some local events happening around Boone, NC that give you the opportunity to help keep the High Country beautiful! Volunteers can come to the office in the basement of East Hall to gather supplies and be given directions and a location to focus on. 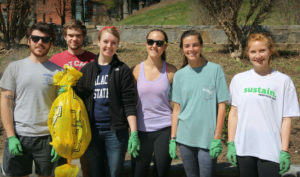 Help keep Appalachian beautiful! 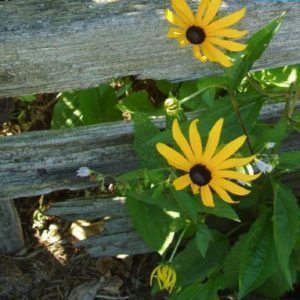 The Daniel Boone Native Gardens near downtown Boone will kick off their 55th anniversary season with the 11th annual Early Bird Wildflower Walk & Plant Sale! Native plants will be available from local vendors. This event is free and plenty of parking is available. Bring the family, hike T. K. Pease trail up and around Strawberry Hill Arboretum, and visit the log cabin in the Native Gardens as well as the historic log cabins in neighboring Hickory Ridge Living History Museum. Don’t miss the display of unique spring flowers blooming in the Native Gardens, including Moss Phlox, typically blooming at the gatehouse. Opened in 1963, the mission of the gardens is to protect and conserve plants in addition to educating visitors about native plants of North Carolina. The gardens focus on wildflowers, ferns, and trees. 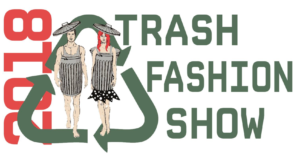 Come to the 2018 Trash Fashion show, hosted by community members and the App State Office of Sustainability. Trash Fashion is a community movement that values the invention of fashionable products created out of goods deemed useless, unwanted, imperfect, or disposable. After party at the Local! 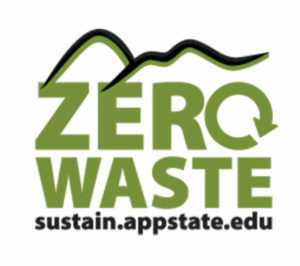 The Reich College of Education on App State’s campus will be hosting a teach-in located in the RCOE rotunda, to raise awareness surrounding the Zero Waste initiative in the college and across campus. They will be creating arts and crafts from recycled materials and discussing ways that we can limit our impact upon the environment. The teach-in will also include an Earth Week Celebration Parade, complete with a “Trash Dragon”. The parade will begin at 1:00 pm at the RCOE building and will travel to Sanford Mall for the culminating event of a drum circle for eco-justice. If you can’t attend any of these events, “going green” is a lifestyle to make everyday is Earth Day; making sure Mother Earth is happy and healthy! It is very well known that the Earth is in trouble and with these 8 Ways to Go Green – you can greatly help reduce our carbon footprint!